A few days ago I mentioned the new Raspberry Pi stickers which sold out as soon as they were on offer. The Raspberry Pi team ordered a second batch, but these took longer than expected to arrive. It's heartening to read people's reactions to the apology for the delay. You can see that there is huge commitment to the project from supporters around the world. 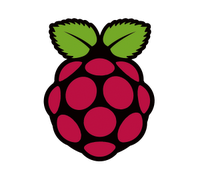 Raspberry Pi is potentially world-changing, and I think the foundation will be astounded and delighted by the strength of the effort to create free software to help this fantastic product achieve its promise.